"Deeper gunplay and mechanics"... Why is scope glint in this game then? It's always interesting how there's plenty of footage of people getting good headshot streaks, but I've never seen a really good sweetspot streak. But I think this is the scope glint thread, not the sweetspot thread. Here's a good example of how scope glint changes gameplay drastically - check out this vid starting at 22:06 - a medic sees the scope glint for a split second, then when the scout is distracted he double taps for a double headshot at what looks to me like 100m. So basically medics can snipe just as easily as anyone, but I bet they won't get the glint as well. Imho the glint should only appear when the sniper is at a distance that no other weapon that is not a rifle can effectively reach. A penalty only for those distant campers. To make the guy who comes at 50m with the rifle and tries to do a precise headshot to twinkle like the North Star is a bit undeserved. Also, since bolt action rifles seem to fall as low as 44 damage at long range, and thus become 3 hit kills, you really won't have to worry about being sniped from long range by scouts - medic slr might be a different story. In sum total of everything we've seen concerning the bolt actions in this game, I think the scope glint can be safely removed. Scope glint is a counter to sniper/scout class. How far can you see in the midst of battle? not far, scope glint is there to prevent a squad of snipers camping an entrance to objective with impunity. Beside, it's already easy to deny scope glare with scope in/out repeatedly in BF1. Use smoke? Why should people be punished for setting up a good position because you're too lazy to switch to a grenade that helps your team. Glint just makes scouts more useless, ADS to spot will get you killed instantly, hell even the **** periscope has glint. The mechanic doesn't even work properly anyway and probably will never be fixed. What with it showing up through world geometry and not showing up 50% of the time anyway. But **** the people who like BA rifles and aiming over holding down lmb on an SMG, right? Sniper scopes, sure, give them glint, but below 4x? That's dumb. Especially so when the sweetspot is gone. Honestly if you die to a non-headshot without it you should be at fault for being careless and bad. Use smokes. Works wonders in RS2 where every gun is a OHK with no **** 3 million lumen flashlights everywhere. Basically I totally agree with OP. They say they want to make the game more tactical and remove gimmicks like doritos, so they should get rid of scope glint too. The scope glint pushes scouts further back unless they pick infantry variants. It doesn't punish hillhumpers at 300m. It's there for balance, end of story. You can't make someone entirely invisible and killing from 300 meters away with no counter and no way to find them or your game will become a ghost town in short order when the majority of your player base gets tired of getting sniped and change to recon. Of course it makes sense that one does not want someone who is sniping from a long distance to be invisible. In that context I do not get why the death cam is so bad at showing the distant enemies who killed you. However when someone is like 50m away and uses a large scope to get headshots, he is in a handicap. That is why I will probably use mostly SLRs with recon in BFV where headshots are not expected by the gun balance unlike with Bolt actions. The two main shooters of 2018 are PUBG and Fortnite. As much as people want to disagree or dislike those games, they are in fact still the most played shooter titles. If EA wants these players to move over to BF5, then some changes will have to be made. 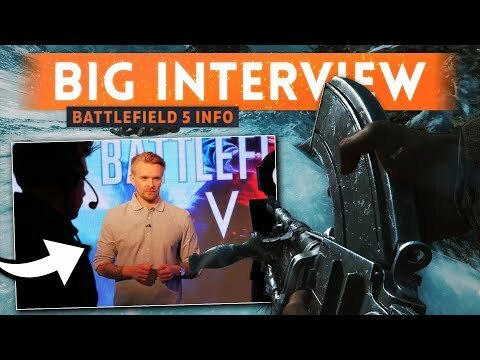 If Battlefield 5 plans to only last for months, than it can do it's old business model, but i thought BF5 was playing the service game, like Fortnite / PUBG? I say this, because Battlefield has never had the numbers of players as Fortnite or PUBG, ever, Could these old features be one of the reasons? All i know is i never cared for it, one of the main reason why i canceled my pre order (second issue was the odd movement). If all of the old features are in Battlefield 5, it will end up just like every Battlefield before it. Odd movement? Oh you must be referring to the snail paced running of BF1. I always thought it would be best if glint was based on your distance to your target. Close ranges - no glint. Medium ranges - dim glint. Long ranges - bright glint. I'm fine with how it is now tbh though. There's only glint on long scopes. Medium scopes don't have any glint. I do agree that it goes against the whole making the game more skill based thing. Having scope glint is practically the same as being 3D spotted every time you ADS. Personally I despise the whole scout/recon class as most people who play it don’t really contribute much. Anything to discourage people from laying on a hillside is fine by me. Every game everyone moans about hillhumpers, but at the same time every game, DICE gimps the scout class so that it can't compete in the medium to close range, and don't give it enough of a real team play mechanic beyond spotting which nobody gives any credit for. Don't blame the people playing the class, blame the lack of effort to make the class worth playing. That's always been a problem. I'd prefer bolt actions that were stronger for close range and weaker for long ranges. Instead bolt actions have been nerfed to the ground to the point that they're really only useful for camping at long ranges outside of everyone's reach now. At least we have the SLRs on the recon class so that I can actually PTFO effectively though. I'm hoping the RSC or AL8 are better CQB weapons than the ZH-29. In this case, I think BF4 did a rather nice job making the Scout/recon class just as useful in close range as it is long range, with things like the TUG-S and Spawn beacon + the option for a automatic carbine. If DICE gives the scout class access to SMGs and perhaps some deployable gadgets that encourage aggressive play, I think that'll be plenty enough incentive. Yes, I'm mindful that these are still possibilities at this stage - we don't know how exactly things will work. I've not yet seen any confirmation that scouts can use smgs. It's unlikely that Recon will get SMGs. That was in the original plans for the class, but since then, as David Sirland confirmed to me on a Reddit thread, they believe giving Recons SMGs would be too OP in combination with the spotting flare. The suppressed SMGs will likely end up on a separate and new specialized class. Or at least that's what he said. Of course nothing is set in stone though. Well, I don't see what's wrong with using a scope and trying to be close as well. At the end of the day, the bad players that spawn camp are just bad, and will be bad no matter how much carrot and stick you hit them with. In the meanwhile, all the nerfs disproportionately hurt those of us who work hard to be good team players. Plenty of us scout players on these forums have stats that would make the oh-so-superior medics and assault mains quite envious, yet we're on the receiving end of a lot of anti-scout hate for no good reason. I play close ranged with a scope all the time. I use a 3x scope on my Arisaka Patrol. I like the higher precision I get from it over the iron sight for headshots. Some iron sights aren't bad, but I'm not really a big fan of the Arisaka's. I like the more needle-like sights of the Lebel for example. Glint should stay, try to see headglitcher 300+m away without glint and 3d spotting, if they remove glint 50m or less ok why not. Graphics in BFV is so good with so many details you cant see someone on top of the hill mile away like you can in codbr or pubg. BF1 sweet spot glint is stupid, i mean it looked like you got star from super mario bros. But small glint like in bfv beta is fine. No, it was odd, like the players movement felt odd. I didn't test the beta much though, waiting for the nov9th to see what people think. Cancel all hills! Ultimate solution to stop hill camping! Ye and cancel all windows in houses aswell while you are at it. But to be more serious i understand what you are trying to say, but at the same time i get what DICE is trying to do. Ultimate camping should be something devs should fight against if the game is suppose to represent some teamwork and objective based gameplay. Snipers were problem in every BF game. There is like 90% chance that in every single game you will find 2+ players who will never touch objective and will always sit on their hill/house/bush. How about they just add a attachment that you can attach to your scope on your sniper rifle. meaning with out it there is scope glare and with it there is no scope glare. So both sides can come to a compromise, and you can fine balance it through the attachments in the game or something. this it is just a base idea to go off of for dice and the community. not a final product. i don't like scope glint either. I think should be removed. This mechanic just forbidden the stealth character of the long range sniping, i don't like it. The only people that don't like scope glint are the people that sit 300m+ away from any objective and snipe all day. You know it's true. Go ahead, take a poll of the entire BF community about whether or not to get rid of scope glint. I can 100% guarantee that the OVERWHELMING majority (75%+) of players will say to keep it. Sometimes I feel that people do not read the previous posts before posting. And what about recons within 100 meters of the enemy which is well within the reach of the other classes? Should they have glint too? Why should they have what equates to being 3D spotted any time they aim down their scope? Any other class can camp at that range and get kills from that distance without a shining beacon relaying their position to everyone looking in their direction. What the OP says is absolutely true regardless of your feelings about scope glint. 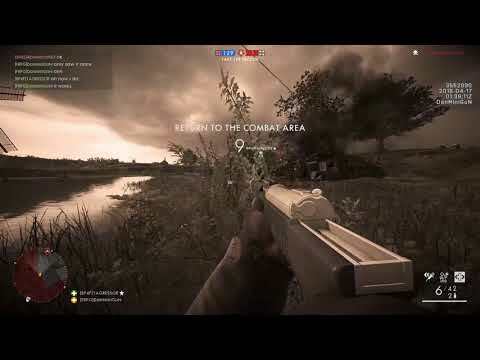 DICE removed 3D spotting, except with specific gadgets, to make the game more skill based. Now you actually have to physically see your enemy. Scope glint is directly contradictory to that. It's something that cannot be relegated with your own skill. You will always be giving away your position the moment you ADS.